Ricky grew up in Southern California and graduated from Harvey Mudd College. He started his career in aerospace as a mechanical engineer and systems engineer at Raytheon Space and Airborne Systems in El Segundo, CA. He completed a Master’s Degree in Applied Mechanics at Caltech. 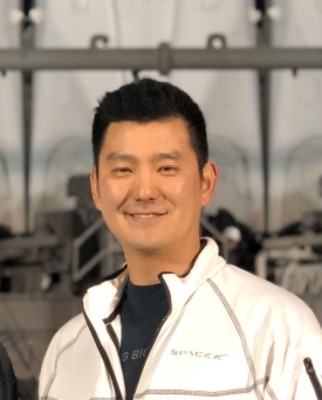 Ricky has been on the Launch Team at Space Exploration Technologies (SpaceX) for 10 years supporting launch operations in the Kwajalein atoll to Cape Canaveral at both LC-40 and LC-39a as well as the SpaceX Vandenberg SLC-4E launch site. He has supported every Falcon 9 launch campaign, currently >50 and counting. He is presently the Sr. Director for Launch Operations at SpaceX’s Cape Canaveral facility.